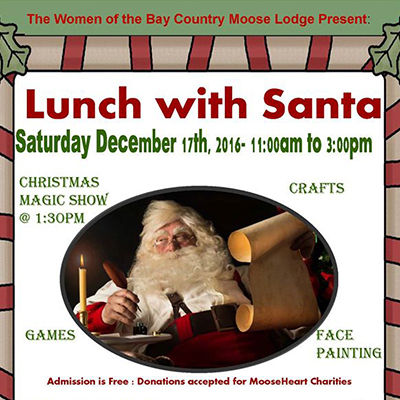 Join us for lunch with Santa and his helpers. Games, face painting, plus a Christmas themed magic show at 1:30pm. Admission is free. Lunch buffet $8 adults $4 Kids. Under 3 free.